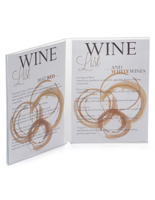 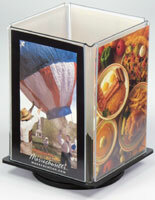 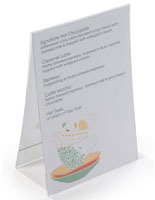 This Picture Frame has Dual Windows and is Great for Displaying Menus, Photographs, and More! 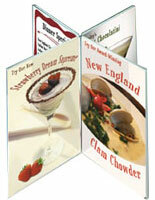 These Photo Frames will Catch the Eye of the Customer! 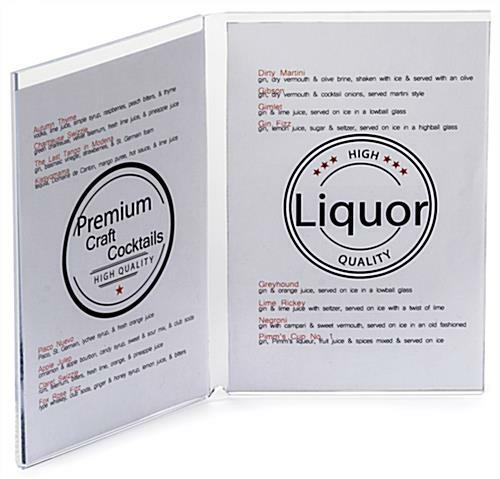 Other Discount Models and Styles are Available for Immediate Shipping! 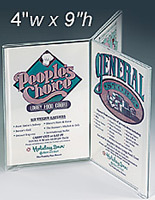 Picture Frames in Acrylic with Two Frame Windows, 4" x 6"
This small picture frame is perfect for exhibiting small media articles, photographs, and business cards. 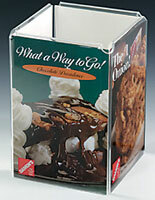 It is made of durable plastic and will survive for years to come. 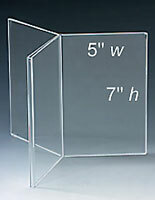 This clear acrylic picture frame is engineered for 4" wide by 6" high cards. 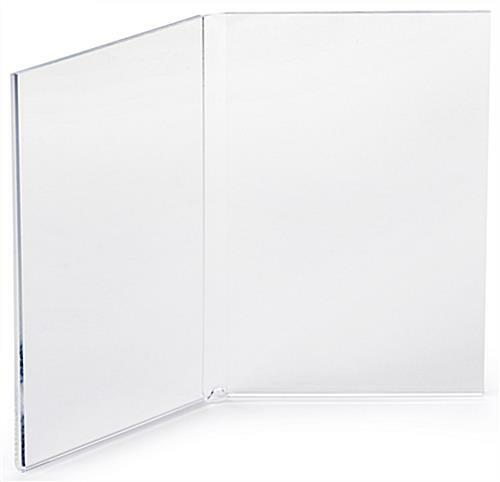 Easy to exchange, two panels set at an angle for double display. 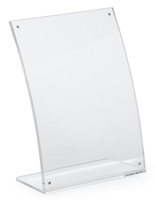 Outstanding for an location that has bounded area.